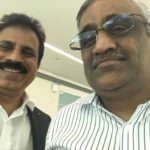 I reported earlier that Porinju had recommended a buy of Balaji Telefilms. Balaji Telefilms has been a sore point for Porinju because while the other stocks recommended by him in his historic tweet of 29th August 2013 have become multibaggers (with two magnificent 10-baggers), Balaji Telefilms had not kept pace. Porinju had lamented this fact in August 2015. However, when Porinju reiterated the recommendation in March 2017, I instinctively knew that we had a winner on our hands. 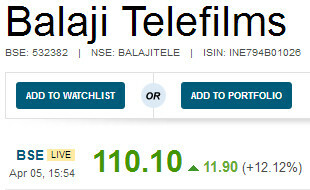 The reason for the optimism for Balaji Telefilms was not only the fact that Porinju had recommended it but that eminent investors like Billionaire Radhakishan Damani, Vallabh Bhanshali, Rahul Saraogi of Atyant Capital and other luminaries had grabbed massive chunks of the stock and were looking expectant. Another dead giveaway was the fact that Sameer Nair, the CEO of Balaji Telefilms, had invested his own funds in buying the stock aggressively. It is a matter of common sense that a culmination of these factors means that the stock has to fly sooner or later. Balaji Telefilms has made some big-ticket announcement relating to its new digital platform called ALTBalaji and this has sent the stock rocketing into space. With this surge, Porinju should hopefully have no cause for grievance against Balaji Telefilms. 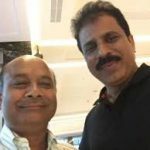 Porinju has let us in on his top secret technique for finding multibaggers. Unlike other investors who focus on stocks which are trading at record highs, Porinju looks for stocks which are languishing at 1-year low or multi-year lows. 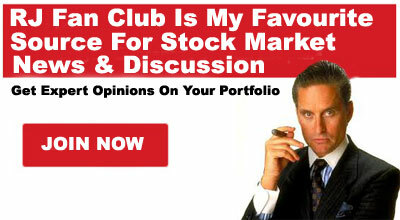 “Many of the small and midcap stocks are going to grow very big in the next 2 years. People always fancy names, but it is time to look beyond because we have more and enough choice with respect to picking stocks,” Porinju said. Porinju lamented that Selan Exploration, which was once his favourite stock, had achieved the dubious title of being a “wealth destroyer”. However, he expressed confidence that fortunes would change for Selan and it would soon deliver gains that are commensurate with its stature. “Selan is a beautiful company. It is sitting on Rs 130-140 crore cash and they have huge potential to expand more and more production and this kind of low oil price regime, it is making Rs 30-40 crore kind of cash flow. So the whole marketcap is around Rs 250-300 crore,” Porinju said. Porinju heaped rich praise on HSIL. He called it “an industry leader and very important company, well-managed company”. He opined that HSIL will have huge relevance going forward due to the vision of the Government regarding housing for all. “The government is developing many schemes talking about the vision 2022, everybody have a home. This is practical. Our economy is structurally so strong we can do all these things,” he said. Orient Cement has the distinction of being first recommended by Porinju on 29th August 2013 when it was available at the throwaway valuation of Rs. 32. Today, though the stock is ruling the roost at Rs. 145 (340% gain), Porinju has not lost any of his affection for the stock and has recommended a buy. The fact that Orient Cement has been flat over the past 12 and 24 months is actually a good thing because it shows that there are no expectations from the stock and this makes the stock a safe investment. Porinju is brimming with optimism about Reliance Industries, the ultra mega large-cap stock. Though the stock has already given hefty gains since Porinju last recommended it on the basis that it was an “inflection point”, he has opined that the stock would see even better days and deliver hefty gains for the next half century. Billionaire Uday Kotak is the whiz kid whose coat tails we should have hung onto. It is unbelievable but true that a paltry sum of Rs. 1 lakh invested in the Kotak group 32 years ago is worth an unimaginable fortune of Rs. 1400 crore today. Porinju has a soft spot for Billionaire Uday Kotak given that he learnt the ropes of investing in Kotak Securities. He also opined that the target of USD 100 billion is “without inorganic potential” and “very easy” to achieve and a “commonsense approach and not any number crunching”. A growth of 15-20-25 percent for next 10-20 years is not difficult for a company to achieve given the inflection point at which the Country is, he added. Porinju’s advice that we should buy stocks that are in the doldrums makes a lot of sense, especially in the present environment where everything is looking super-heated. Even if the stock markets crash, the doldrums stocks will remain unaffected because they have never had any gains to give up. On the other hand, if the stocks re-discover their mojo, we can effortlessly pocket multibagger gains from them! Porinju is recommending some ? ?? stocks sandwiched between two powerful performing Stocks RIL and Kotak.In my view RIL and Kotak are investment grade stocks to ride this rally and I have been discussing these since long in Stock Talk.But it is great time to shift from third grade stocks ignoring any of the experts as you get such good times rarely after long time.Third grade stocks will be wiped out in any correction ,which may come after some time.In quality stocks you may have down risk of 10% ,even that may be for short term against risk of 50% in third grade stocks which may be permanent. For playing Indian housing boom ,one can go for Asian Paints,DHFL and UltraTech Cement.Paints is used every three to five years against one time of HSIL bath room potty seat.Simarly in Cement go with the King of Scale, UltraTech Cement instead of some inefficient small player.And Housing give loan ,which owner will pay back for a long period. Kharb ji, it seems probability of gains will be higher in small player such as Orient Cement than UltraTech Cement.